My husband and I built our home almost 3 years ago. 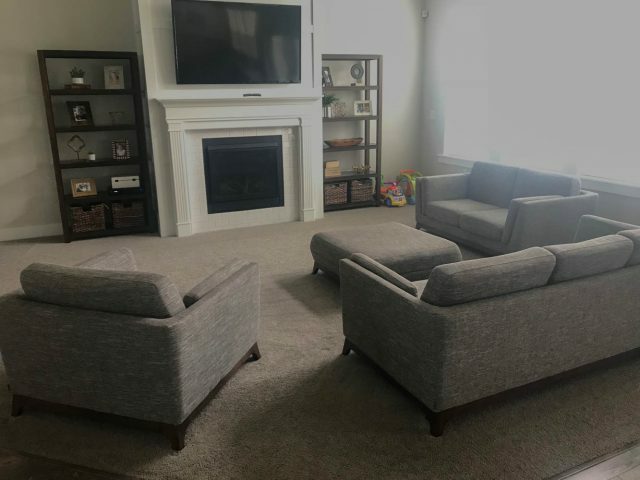 We wanted to be practical and stay within our budget, so we agreed to least expensive, builder grade carpet that was included. Little did we know, it would get extremely matted down to the point that our kids would get hurt because of the tack strip coming through. Yikes! I felt like our beige carpet made everything seem dark and dingy and wanted something to brighten and soften up the space. 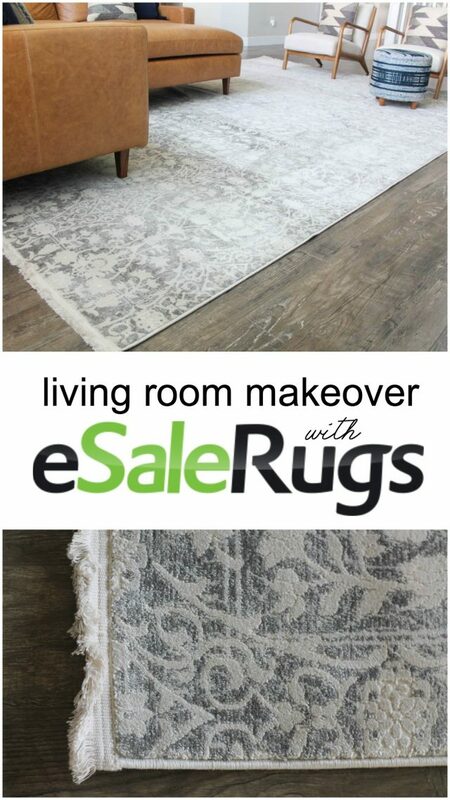 I was perusing the internet for a neutral, vintage rug and found the most gorgeous rugs at eSaleRugs. I spent forever looking through their inventory and found the exact rug I wanted. I love eSaleRugs New Vintage Collection because it is so versatile and looks good with so many different types of home decor styles. Well, if you’ve ever read the book “If You Give a Mouse a Cookie” you know that things can escalate pretty quickly which is exactly what happened when I found this rug. I was so obsessed with it that I knew it wouldn’t look as good with our beat up carpet underneath (I mean we’ve potty trained babies/dogs on that thing) so it had to be replaced. My husband removed our existing carpet and laid down the same flooring we used in our home office. After that was installed, I was chomping at the bit to put our new rug down. It was even more gorgeous in person than it was in the pictures! 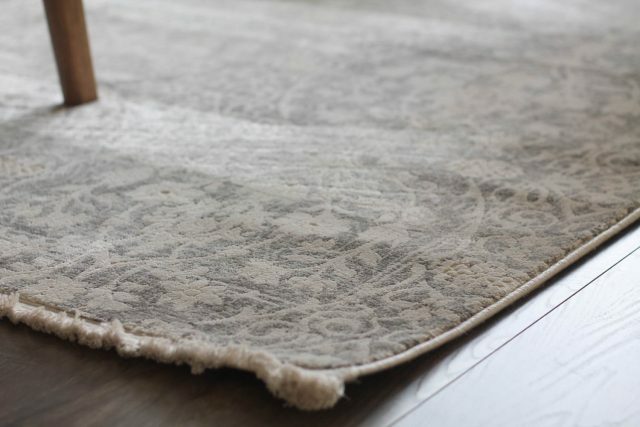 This rug is made in Turkey and is made of 85% polypropylene, 15% polyester with 100% cotton backing foundation for extra durability and ultra softness. My kids were literally doing “carpet angels” on it as soon as I laid it down because it was so incredibly soft. 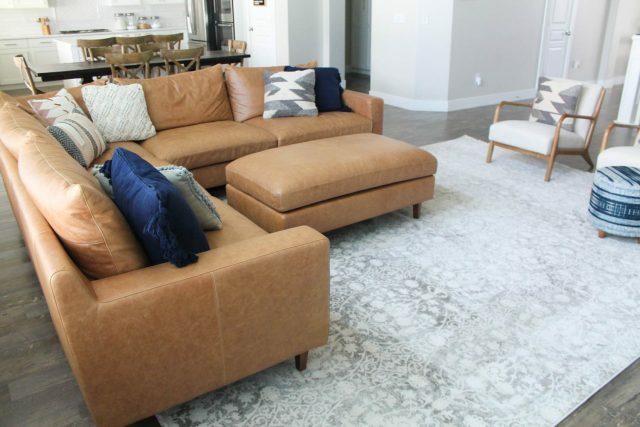 This rug immediately brightened and updated our living room! I love that it is stain resistant because I have 4 kids and a puppy, which means I need something durable and easy to clean. Isn’t that detail and fringe gorgeous? I got this rug in light gray, but it also comes in gray, ivory, and light blue. 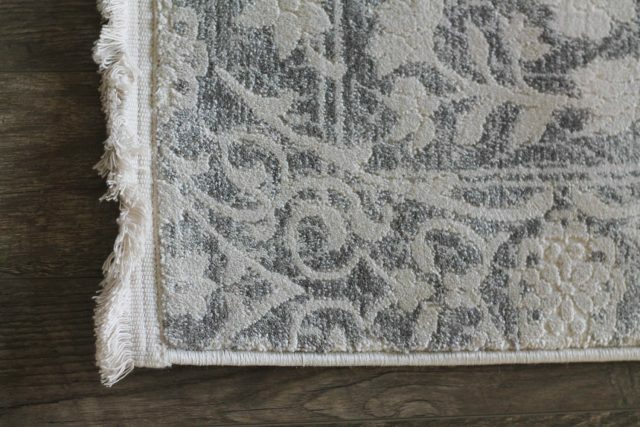 This rug has all the character of a vintage rug, except it’s new! All of the rugs at eSaleRugs are so unique that you won’t find rugs like them anywhere else. 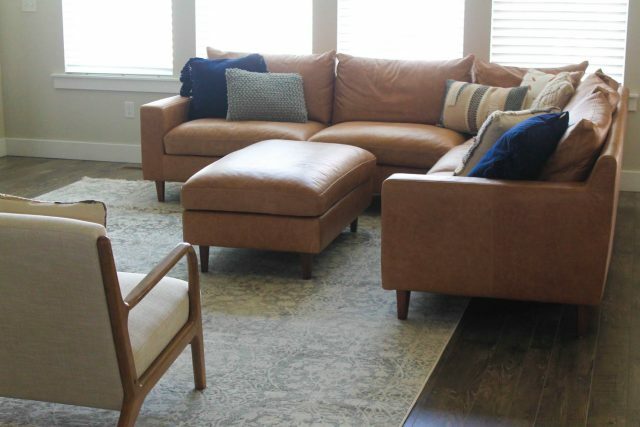 If you are in the market for a new rug, check out eSaleRugs. They have so many beautiful rugs at affordable prices. I have bought a lot of rugs in my day and I couldn’t believe how reasonably priced their rugs are! Stay tuned for a full room reveal later this week!